- LeBron had no rings. - The Nets were in Jersey. - Charlotte was the Bobcats. - New Orleans was the Hornets. - The Knicks were good. - The Raptors were bad. - Patrick Mahomes was 15. - New England has averaged 29.2 points over its last five games (including postseason). - New England has averaged 21.0 points over its last five road games. - Kansas City has averaged 30.4 points over its last five games (including postseason). - Kansas City has averaged 29.4 points over its last five home games (including postseason). - Kansas City is 2-0 ATS versus New England over the last three seasons. - Kansas City is 1-1 straight up against New England over the last three seasons. - In each of the last two games in this series, the point total has gone over the total. All Patriots-Chiefs prop bets and odds are available on FanDuel Sportsbook. - New England Patriots to Win by 1-13 Points (+200) – The New England Patriots narrowly defeated the Kansas City Chiefs, 43-40, back in October. That game was at Gillette Stadium, and the Patriots still had Josh Gordon, but New England can still follow the game plan they used to defeat Kansas City earlier this season. 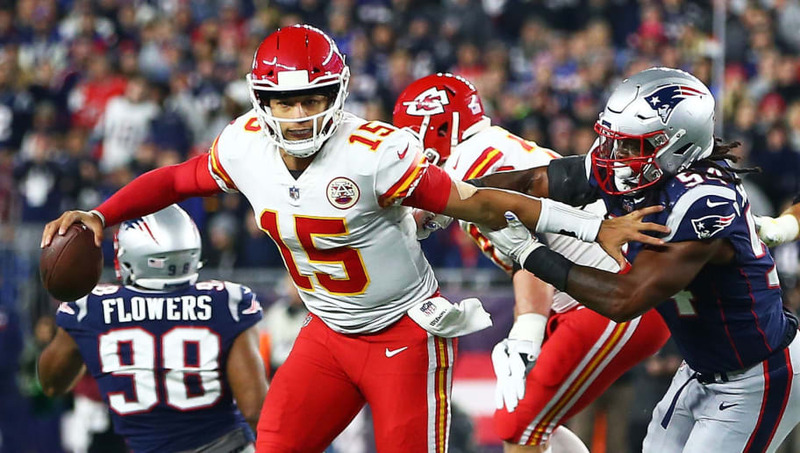 In the Week 6 meeting, the Patriots emphasized the run game and Sony Michel tallied 106 yards against the Chiefs' dreadful run defense. The Patriots should look to duplicate this performance because Kansas City has surrendered a league-worst 5.0 yards per carry this season. Look for the Patriots to escape Kansas City with a hard-fought victory, and if you're going to bet them to win, these odds are better than the moneyline.